Tonight! Our First Thursdays are the perfect night to come down and check out some of the amazing businesses along the Coast Hwy 101. ️sunsets, music, art exhibits,wine + cocktails , so much more! 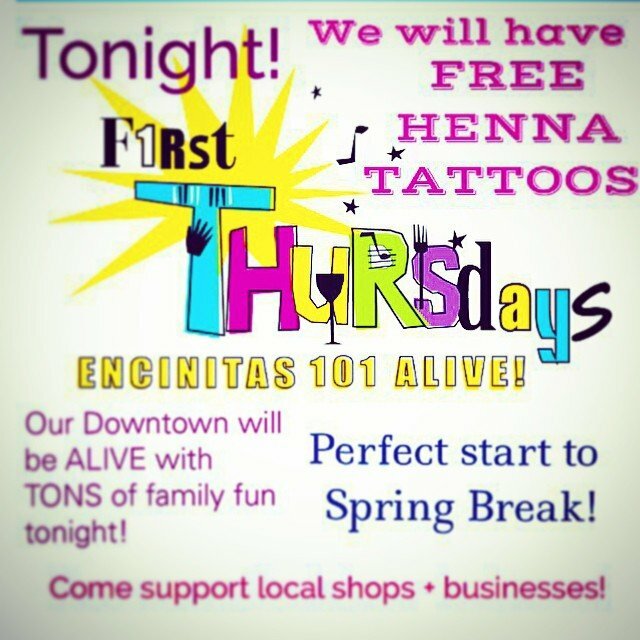 we will have our henna artist in the store giving FREE #HENNA tattoos! Come on by!